Technological breakthroughs are the key to success in economics and national security. Moscow recently unveiled its achievements in military innovations that are bringing forth a new paradigm in modern warfare. It was reported on March 15 that the Avangard (known as Vanguard in English) boost-glide hypersonic delivery vehicle with an intercontinental range will be operational by 2019 or even late 2018. It’ll be on high alert in 2019. The military has already signed the contract. Avangard is to be installed on intercontinental missile, such as the 200-ton Sarmat ICBM. 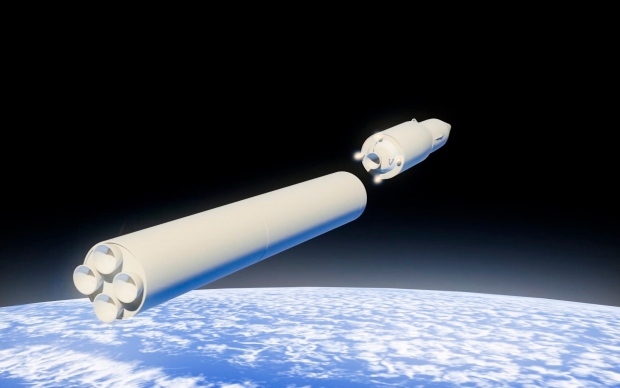 Delivered to the desired orbit at an altitude of 100 km from the Earth using a pre-booster, it can glide to its target at a speed of Mach 20 (5-7 km/s) while maneuvering with the help of stabilizers. This is the first mass-produced weapon with a glider warhead that can travel at such an altitude in the dense layers of the atmosphere. The boost-glider vehicle can also abruptly change course. The system produces signatures, which are quite different from traditional intercontinental systems, to hinder attempts to spot and engage it. The use of composite materials enables the re-entry vehicle to resist temperatures up to 2,000 degrees Celsius. It can fly within plasma and the glider is also protected from laser irradiation. The system passed its trials with flying colors. The weapon is perfectly suited for knocking out an enemy’s critical infrastructure and leaving him unable to strike back. Its yield ranges from 150 kilotons to one megaton. Russia, not the US, has been the first to achieve prompt global strike capability. That’s what makes this weapon especially important. The Russian president wasn’t exaggerating when he described the Kinzhal hypersonic missile. Now another new system is almost ready to go, further shaming those who doubted its existence. President Putin’s address, in which he described these new ‘super weapons,” had nothing to do with serving the interests of the military-industrial complex. The development of the systems mentioned in this speech was prompted by the US withdrawal from the 1972 ABM Treaty. That agreement had been the cornerstone of strategic stability until Washington pulled out in 2002, a move that was followed by the rollout of NATO missile-defense sites in Romania and Poland (this year). The ABM Treaty was not the only major international agreement the US put an end to. Today it is openly violating the NPT treaty. The Nuclear Posture Review released this year seeks to bury arms control. The announced plan to breach the 1991 presidential nuclear initiatives and arm naval ships with long-range missiles is nothing but an open threat to upset the strategic balance. The Russian president made no threats; he just wanted to explain the measures his country had to take in response. This is quite a natural thing to do at a time when arms control is in crisis. None of the weapons systems he mentioned violates the New START Treaty. Russia never said it wanted to withdraw from the arms-control agreements still in force. It’s the US, not Russia, who seems to doubt that the New START or INF Treaty is worth preserving. The voices clamoring to tear up the intermediate-forces agreement are getting louder in America. There is a bumpy road ahead, so President Putin is taking steps to protect Russia’s citizens – which is exactly what he has always promised to do. Washington bears full responsibility for having convinced Moscow it needed to strengthen its defenses. Now America lags behind Russia in military technology that makes it possible for super weapons to be produced and added to the active arsenal. Tu l’as voulu, George Dandin!